Movie Maker Module – Record 3D viewer imagery and export movies of tours for websites or presentations. GIS Data Importer – Incorporate GIS data in .shp or .tab file formats. Examples of data include parcel data, demographics data and 3D building data. 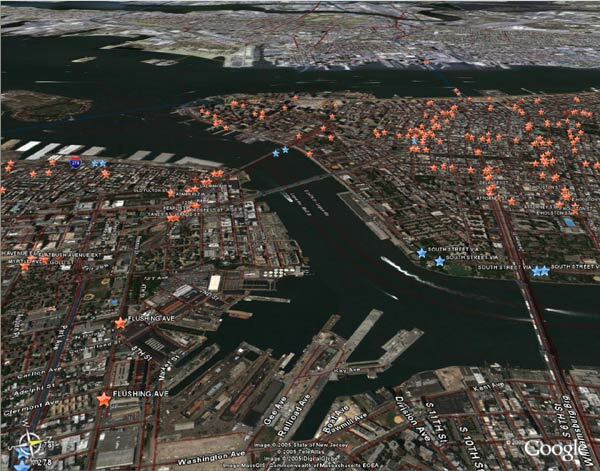 You can use these new features the next time you open Google Earth Pro. Also, our Technical Support options have changed. We’ve added live chat & email support to replace telephone support. A quick check on Google Earth Pro’s web page confirms that these extras, previously $200 a pop, are now listed among the features of Google Earth pro (still $400 a year). On my Mac, The movie making module works like a charm, and for free. One new premium service that’s listed which I don’t remember seeing before (correct me if I’m wrong) is traffic data (sample). I feel like I’ve been ripped off big time by Google. It was only last Friday that I renewed my license for the GIS data importer so I’ve paid $200 for less than one week’s use. I’m asking for a refund but would like to know what the Google policy is and to hear of any similar experiences. Traffic Data was there before. How have you been ripped off? You paid for a feature you wanted, and you have it. That hardly seems like a rip-off. Unless you paid to feel superiour to other people, I don’t see how you have anything to complain about. After downloading the free version of Google Earth Pro I am still unable to make Movies…are there special steps to take to get this module to work? Is it possible to load my GIS data in google earth pro? so yes where can I get information regarding this isseu. I noticed there is only choice for 2 brands : Magellan and Garmin. Is there any chance to configure it somehow ? I just downloaded the 7 day trial version of Google Earth Pro so that I could test out the GIS data Importer and try to georeference some satellite images and aerial photo’s. It has occured to me and I am not sure of this because I can’t seem to find a clear answer but it seems that the GIS data importer is available now in Google Earth Pro at no extra cost but it is not available in the trial version. Is this correct? PaID FOR PLUS GOOGLE EARTH BUT THEIR AUTOMATED AWNSER SERVICE KEEPS SENDING ME THE WRONG LICENSE KEY SAME WHEN I TRIED TO ACTIVATE PROVERSION FREE TRIAL FEEL RIPPED OFF!!!! Lately when I try to open Google Earth Pro it refuses to open and gives me a message that tells me that it has encountered a technical problem and that a technical message has been sent, presumably to Google, where it apparently falls into a black hole. As far as I can tell it is impossible to actually speak with anyone there. I attempted a download to replace my current version that is apparently corrupted, but Google doesn’t recognize my email address. Looking for a experienced Google Earth Pro moving making freelancer. I want to make a fly in movie showing a view of the whole earth, then fly down to a specific region (close up). Please email me with your contact info if you can help. Downloaded the ‘free’ trial but don’t have the license key which is demanded at start up. So nuthin ain’t worth nuthin but it’s free.